Alright here’s my confession. 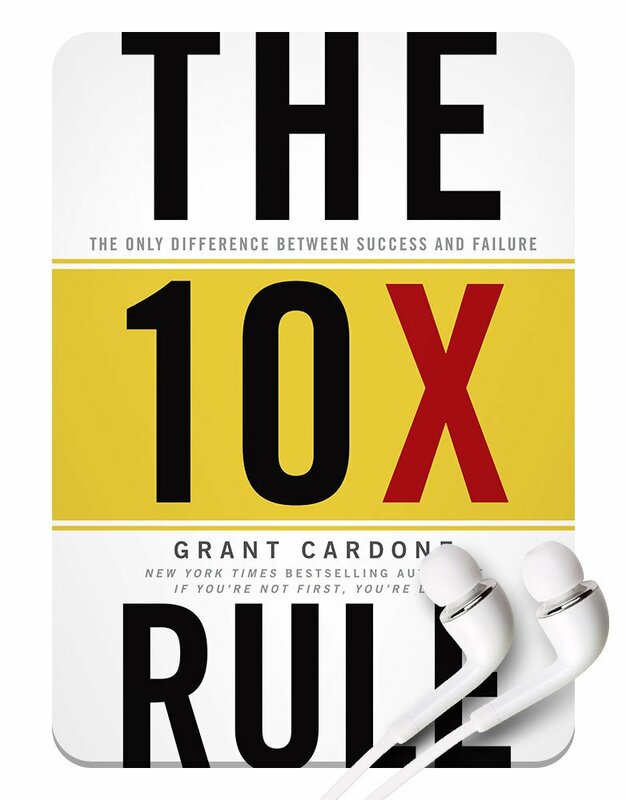 I didn’t buy the book The 10x Rule, I bought the mp3 audio, which is even better than the book in my opinion . The audio is also called The 10x Rule by New York Times bestselling author, entrepreneur, sales trainer, and real estate mogul Grant Cardone. I bought it from GrantCardone.com on July 7th, 2014 as a package deal with three other audios (except I spent $179 on those four audios). I immediately got into them. The 10xRule is a fresh, no-holds-barred approach to the subject of success and getting everything successful people want out of life. If you want more success out of life, I highly encourage you to buy this mp3, listen to it often, and 10x your successes. I have used the information in this audio to greatly transform my life, and to get on and stay on a track of success. This information can help anyone who truly wants more success in their lives. And yes, there are affiliate links in this post. Getting rich and famous are almost taboo these days. Like a lot of busy solopreneurs these days, I have a few tools that are in auto-pilot on my Twitter feed @michael_neely. Yesterday, I saw the article “5 Wrong Reasons for Becoming an Entrepreneur” by Jayson Demers on my feed from Entrepreneur magazine and I had to read it. I don’t keep it a secret that I am a big fan of Grant Cardone and his various works on entrepreneurship and sales training. To be fair to Jayson, it seems to me that he is writing about primary motivations to starting a business and becoming an entrepreneur. I agree with him that starting a business for the sole purpose of getting rich probably won’t work. If you want to get famous, I would turn to Hollywood (or another film-making city like Atlanta), dropping a CD, devoting your time to become a “reality TV” star, or even social media. Even then, it won’t happen overnight.